The Samsung Galaxy Note9 will be revealed on 9th August 2018 which isn’t too far away. Looking at the previous model, there’s a chance that pre-orders in Malaysia could begin within the same month. Ahead of the big event, there are a couple of leaked renders and details of the upcoming device from various sources. Read on to find out what to expect from Samsung’s next productivity phablet. For the past few generations, the Galaxy Note series has adopted the same design language as the Galaxy S model of the same year. The Galaxy Note7 is basically a slightly larger version of the Galaxy S7 edge with less rounded corners and it’s the same story as well with the Galaxy Note8 vs the Galaxy S8+. 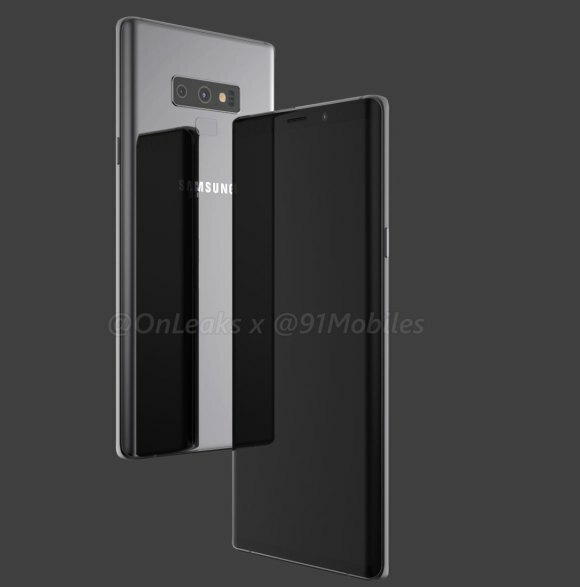 Serial leakster @Onleaks have shared high-resolution renders of the upcoming device and not surprisingly, it looks almost identical to the current Note8. The noticeable difference is at the back where the fingerprint sensor is now moved below the camera module. This makes it easier to unlock without smudging the camera lens but it also means that there won’t be an under-screen fingerprint sensor. 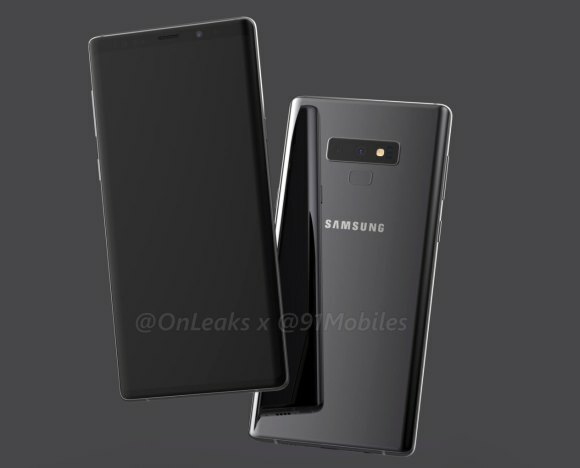 You can check out more renders of the Note9 here. While the Galaxy S9+ had a vertically mounted dual-camera lens, the Note9’s dual-camera appears to retain the same horizontal placement as the current Note8. 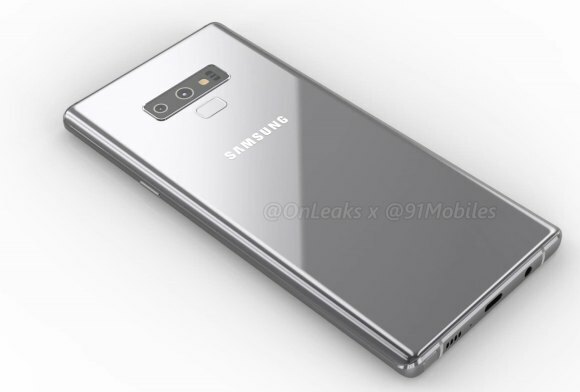 Somehow, this makes the rear look messy and I think the S9+’s rear camera module design looks better. 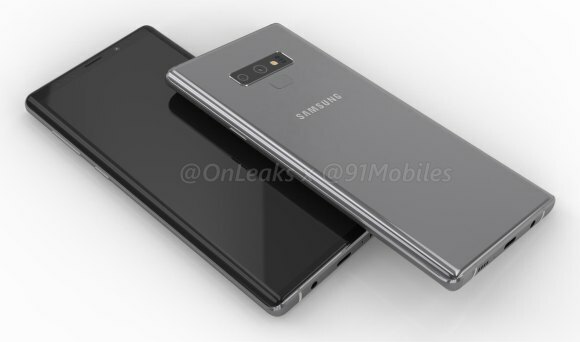 In the imaging department, the Note9 is expected to share a similar dual-camera system as the Galaxy S9+. This includes its variable aperture feature and Samsung could introduce further improvements with a newer generation of ISOCELL cameras. The overall device is said to be slightly thicker at 8.8mm (Note8: 8.6mm) and the Super AMOLED Infinity Display still retains the same screen size of 6.3″. The screen is also capable of pushing up to QHD+ resolution in an 18.5:9 aspect ratio and under the hood, it retains the same Octa-Core Exynos 9810 (Snapdragon 845 for US market) processor. For this year’s Note, it will come with 6GB RAM and a minimum of 128GB of storage. There are reports that there will be a higher spec 8GB RAM model with storage options of up to 512GB. Since the Galaxy S9+ came with multiple storage variants for the Malaysia market, there’s a good chance that we could be getting larger storage variants as well. One of the biggest pain points of a Samsung flagship has always been its battery. After the Note7 incident, Samsung has been very reluctant to provide their latest flagships with more than 3,500mAh capacity. According to veteran leakster, Eldar Murtazin, the Galaxy Note9 will finally get a larger 4,000mAh battery and that puts it on par with the likes of the Huawei Mate 10 and P20 Pro. Not only this could push beyond a full day of use, he also claimed that the Note9 could last up to 25 hours of video playback in maximum brightness. That’s pretty insane if it’s true. At this point, it looks like the Note9 is just another incremental upgrade and that’s expected since the current S9 is basically an updated version of the S8. You can expect the same IP68 water resistance, fast wireless charging and stereo speakers from the current S9 series. However, the biggest change could be found on the S Pen since it’s also the main focus in their official teaser. 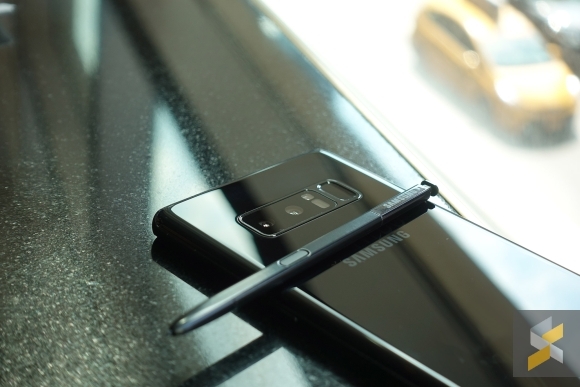 According to Eldar, the S Pen will support Bluetooth and it could come with added functionality including a new way to unlock the device with a stylus. With the new upgrades especially in storage and battery, the Note9 won’t be cheap. The current Note8 was launched at RM3,999 with 64GB of storage and this could be the price for its base 6GB RAM + 128GB storage version. We’ll definitely find out more as we get closer towards the launch.